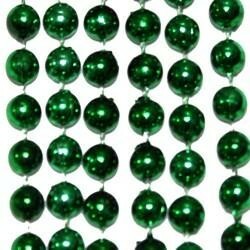 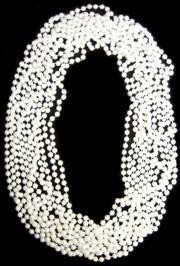 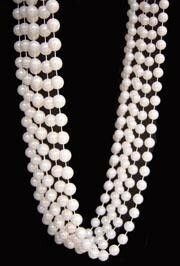 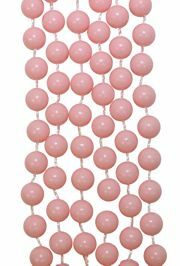 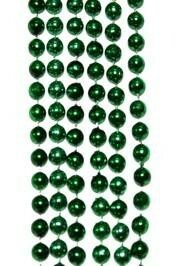 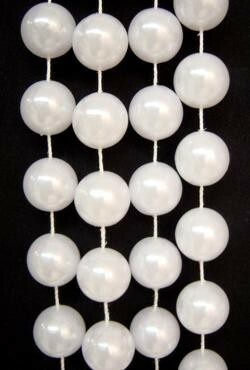 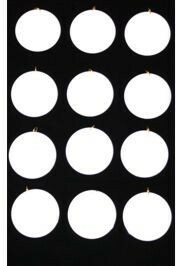 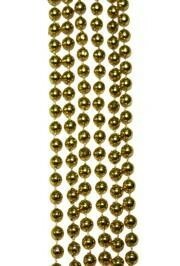 Our Crown Necklace is a long bead at 42in in length. 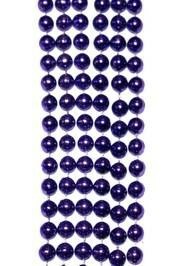 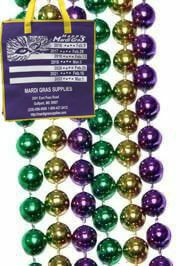 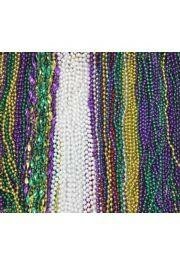 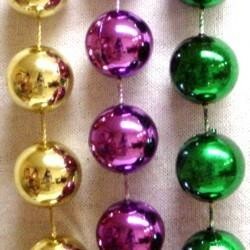 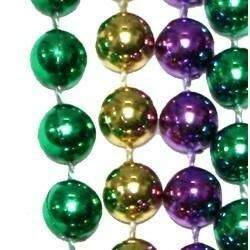 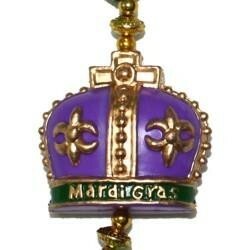 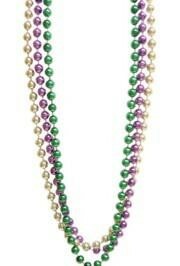 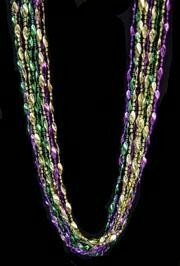 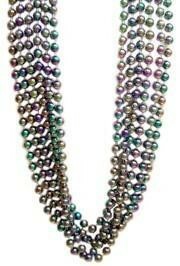 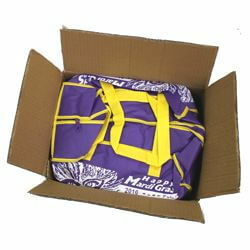 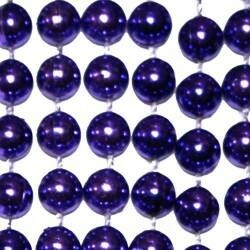 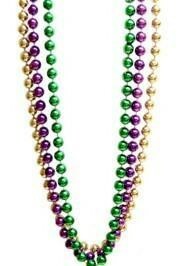 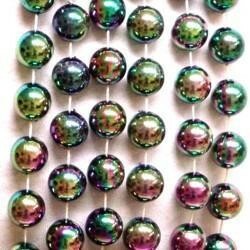 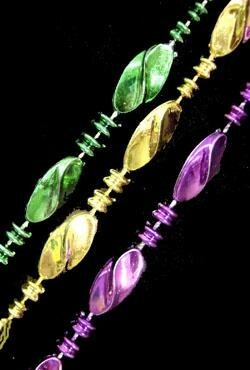 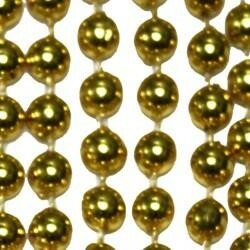 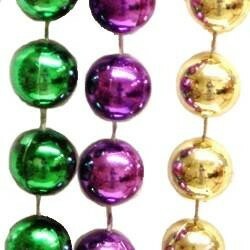 This hand strung specialty bead has 4 purple and gold crown medallions. 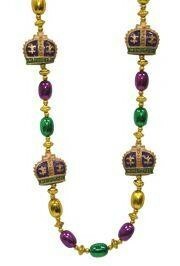 These ornate medallions are separated with purple, green, and gold beads with gold fleur de lis spacers.